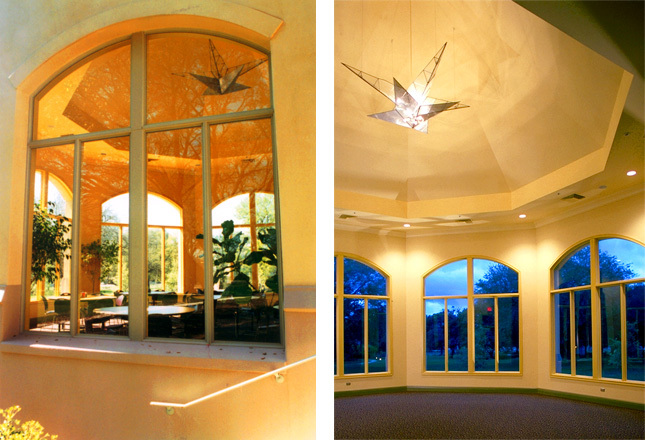 Oblate Renewal Center | Robey Architecture, Inc. 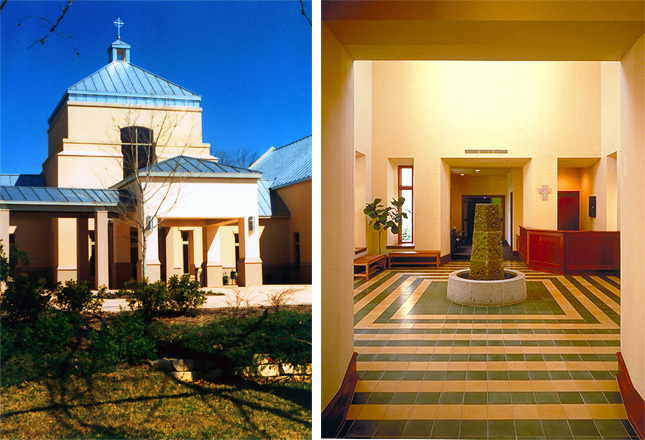 The Retreat Center is laid out in a larger semicircular shape with all buildings focusing on the “chapel in the woods.” A master plan for the entire campus was produced to look at the next fifty years for all the various entities on the “Hill”. 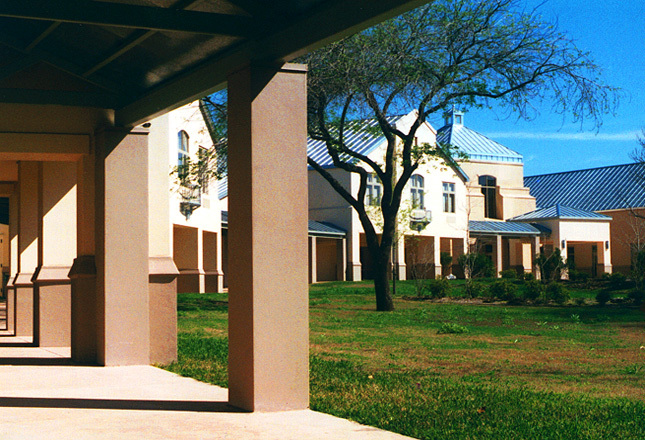 A colonnade connects all the buildings to one another and helps to create a sense of enclosure and intimacy. 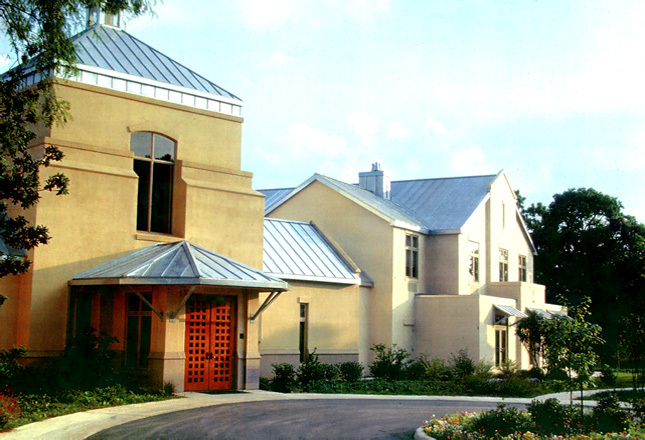 The building forms suggest Spanish mission architecture of the area and pickup on other architectural motifs of some of the existing turn of the century buildings already on campus. A master plan for the entire campus was produced that looks at the next fifty years.